If you’re like a lot of men, you have some sort of grooming kit at home. You know what we’re talking about – a bag or box where you keep essential items like a toothbrush, deodorant, nail clippers, etc. It’s convenient, and it travels well. The same true to beard grooming kits. But we’re talking about kits that feature one company or brand’s tools for beardsmen. That includes beard and mustache grooming kits, as well. It’s one-stop shopping, and grooming rolled into one. In this post we’re going to review our favorite beard grooming kits – starting with the superb Seven Potions Beard Grooming Set – and also talk about the advantages of buying a kit instead of buying each product separately (it’s cheaper, for one). 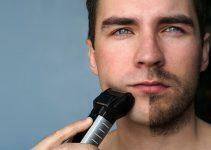 Buying a kit or buying grooming products separately: What makes most sense? There are things to keep in mind before you buy your first beard grooming kit. Sure, it obviously needs to include the right tools – shampoo, oil, etc. – to make it a complete beard grooming kit, but also take into account how those tools perform where it matters, on your beard. Check the ingredients. If your skin is sensitive, or even if it’s not, a kit that has all-natural ingredients should be your number one choice. Your kit needs to include a high-quality comb or brush. All the beard oil and balms in the world won’t get rid of the knots and tangles in your beard, but a beard or brush will. Make sure your kit addresses hydration, i.e., whether your facial hair and the skin below it is properly kept moisturized. That said, a kit that includes oils and balms is always helpful. Pay attention to the kit’s fragrances: in the oil, shampoo, wash, conditioner, etc. Make they appeal to you and those around you because you don’t want to invest in a full kit and then find out you don’t like how stuff smells. A good kit should always include some wash or shampoo. After all, how great is a beard if it’s not clean? But that’s not a hard-and-fast rule. The Seven Potions brand is riding a way ever since its inception in England in 2014. 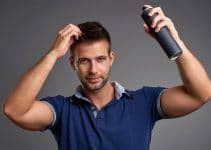 Focused primarily on premium male grooming products with natural ingredients, their products are showing up on a variety of “best of” reviews, and deservedly so. 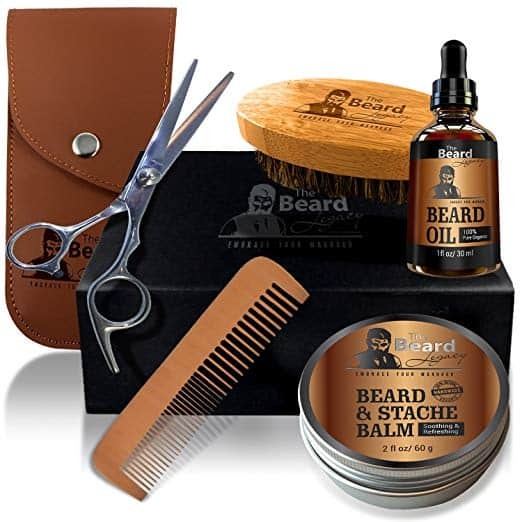 Their Beard Grooming Set has everything a serious beardsman needs: beard oil, beard brush, and beard shampoo, and contribute to giving you a soft, manageable beard that looks – and feels – well-maintained. You’ll also get the three products in full-size versions, not half (or smaller) containers that you get in many beard grooming kits. Indeed, there the same size you get from Seven Potions’ regular portfolio of products. Their Woodland Harmony Beard Oil softens and controls your unruly beard hairs while nourishing the skin to prevent aggravating issues such as beard itch and beardruff. The oil contains jojoba, sweet almond, apricot kernel, as well as vitamin E, which stimulates beard growth, among other things. The Seven Potions Beard Shampoo – also included with this kit – has a similar woodsy, masculine scent while answering the bell in a variety of categories, including that it softens your beard, reduces dandruff, and the fact that a small amount of it produces a hearty, rich lather. Last, but not least, the Seven Potions premium beard brush completes the kit and helps keep your beard styled and well-maintained. Made of 100% boar bristles, it comes with a pear wood body. Another great product by the folks at Seven Potions. It has everything you need to keep your beard looking its best, and you don’t have to worry about the oil and shampoo running out early because they come in regular-sized containers. Perhaps the best beard grooming kit. Some grooming kits will give you everything you need but just not a lot of it. Our friends at Beardsley say, “the hell with travel-size shampoo, conditioner, etc.” and give you full-size everything instead. We thank them for that. That said, the Beardsley kit is all about the hygiene of your beard and not beard growth. Not that other kits don’t also place emphasis on hygiene, but Beardsley figures that a clean, great-smelling beard will, among other things, draw the ladies in rather than push them away. So what do you get in a Beardsley kit? Full-sized containers of top-notch shampoo, conditioner, lotion, and oil, that’s what. Your kit comes with two shampoos – Wild Berry Ultra Shampoo and Cantaloupe Ultra Shampoo. Both shampoos are specially formulated for beards and mustaches. Beardsley’s ultra conditioner leaves your beard feeling soft and your skin smooth and refreshed. Meanwhile, the unique lotion has a cooling Bay Rum scent, while the oil is lightweight enough to be used every day and keeps your beard extremely manageable. 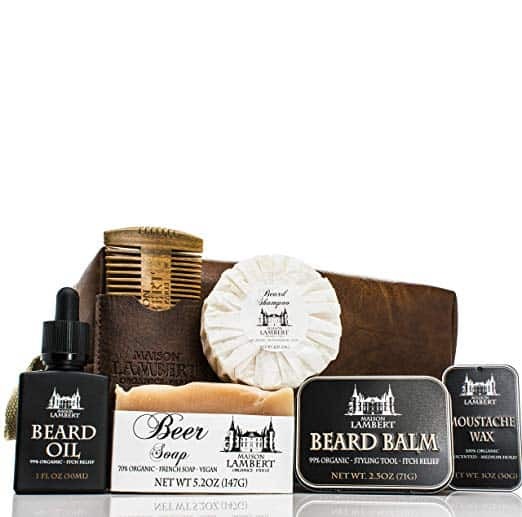 You’ll love the different Beardsley products in their beard grooming kit, not the least of which are their uniquely fragrant shampoos and lotion. It’s not an inexpensive kit, but the full-sized bottles will last a long time. Zeus has you covered – and then some – with their beard grooming kit. 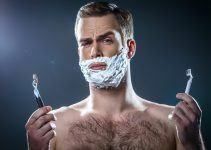 But that’s no surprise because their kit is based on the premise that a good-looking beard is one thing, but a good-looking beard that is soft and manageable is even better. Zeus Beard Shampoo and Wash is good stuff. It’s formulated especially for beards and mustaches and also has an antioxidant blend that’s great for all skin types. If you have sensitive skin, no worries. This shampoo will work for you. A key ingredient in the shampoo is Dragon’s Blood, a tree-based substance that reduces skin inflammation. The shampoo and wash also include green tea – which is great for dandruff – and chamomile, which strengthen hair while also giving it a nice shine. And, like a quality beard shampoo should, Zeus’s brand won’t strip your facial hairs of natural oils. Made from all-natural ingredients, the Zeus Conditioner Wash will condition and soften your hair while protecting skin cells. It also protects you from beardruff and split ends. You have to have beard oil in your kit. Oil makes your beard healthier, fuller, and more manageable. Still not convinced? Well, it also keeps your skin from drying out and the beardruff flakes at bay. The oil in the Zeus Deluxe Beard Grooming Kit answers the bell both regarding ingredients (all-natural) and performance. It even comes in three scents: Verbena lime, sandalwood, and vanilla rum. You’ll look good and smell good, but you won’t overpower anyone with fragrance. Designed to keep your beard in shape as well as looking good. Not many cons, except perhaps the bit of dust that comes with the burlap bag and lack of brush. It’s not a stretch to call this an exceptional beard grooming kit. It has everything you need to keep your beard looking and feeling great. 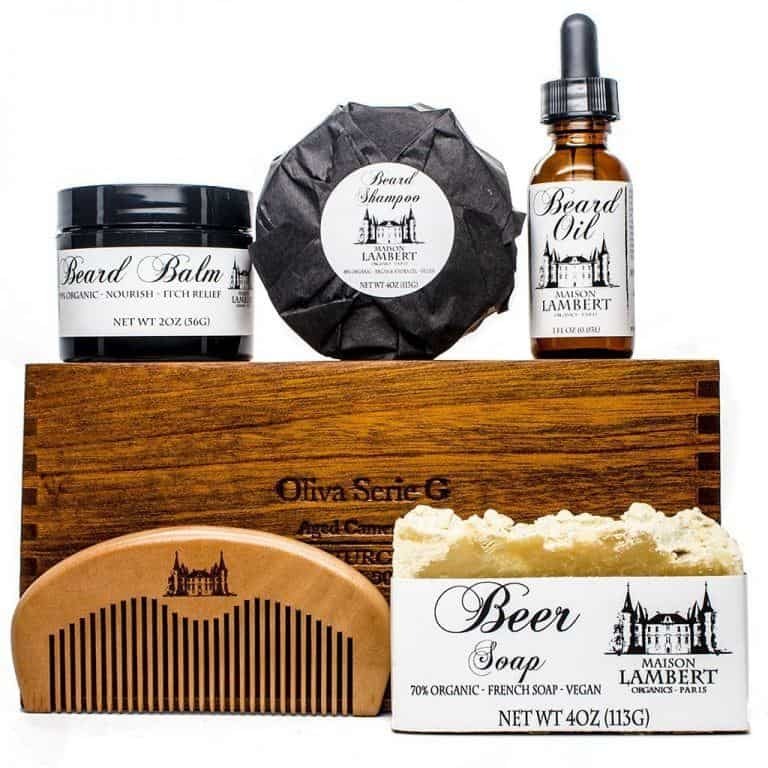 Everything about the Maison Lamber Deluxe Beard Care Kit has a classy feel to it, and it all starts with the cool wooden cigar box it comes in. Indeed, it’s classy in pure French fashion, and that includes everything in it: organic beard balm, organic beard shampoo, a wooden beard comb, and the organic body soap that’s also included free of charge. Maison Lambert is also diligent when it comes to keeping their products hypoallergenic and artificial fragrance-free. Their scents come from pure essential oil to create a pleasing but not overpowering fragrance that has hints of wood. There’s no-animal-testing with Maison Lambert’s ingredients, and they’re free of parabens, sulfates, dyes, toxins, and all the other artificial junk that’s not good for your skin or hair. The handmade beard soap includes shea butter and beer. That’s right, beer, because beer has been known to calm and soothe irritated skin and also contains ingredients that act as an anti-bacterial agent. It’s good stuff. The shampoo includes argan oil, jojoba oil, aloe vera, and cocoa butter – which are essential ingredients in any beard shampoo the claims to be legit. It gives you a good lather and leaves you with a softer beard that has a pleasant smell. Maison Lambert’s beard balm is 99% organic and has a smooth and easy texture that makes it easier to apply than many other balms. Even better, it does a great job in fighting beard itch and beardruff. The beard oil also lists argan and jojoba oil among its ingredients, as well as Tocopherol – which is an antioxidant from the vitamin E family. It absorbs quickly into your beard and provides the kind of woody scent that most women will find appealing. The beard comb is handcrafted, looks great, and does everything you’d expect a quality beard comb to do. Everything about Maison Lambert has a personal touch. It’s hard to pinpoint any specific faults with this kit. To do so would be nit-picking. Everything about this kit reeks of class, from the box it comes in, to the products included in the box. You could do a lot worse with other kits. Don’t let the brand name fool you. With their complete beard care kit, Mountaineer Brand gives beardsmen the opportunity to manage their beards at every step of the way. 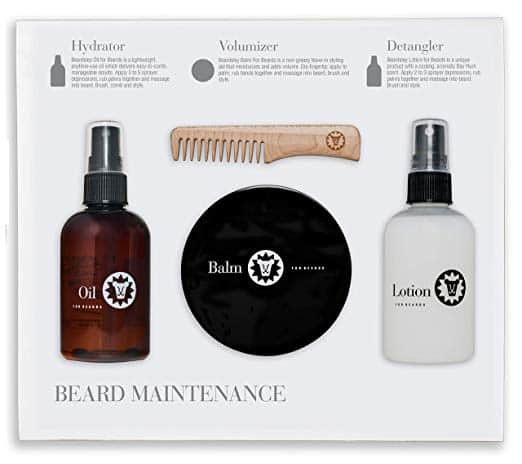 Their Beard Care Kit includes beard oil, beard balm, beard wash, and a military-style (oval) beard brush. And it all comes in a nifty burlap bag. 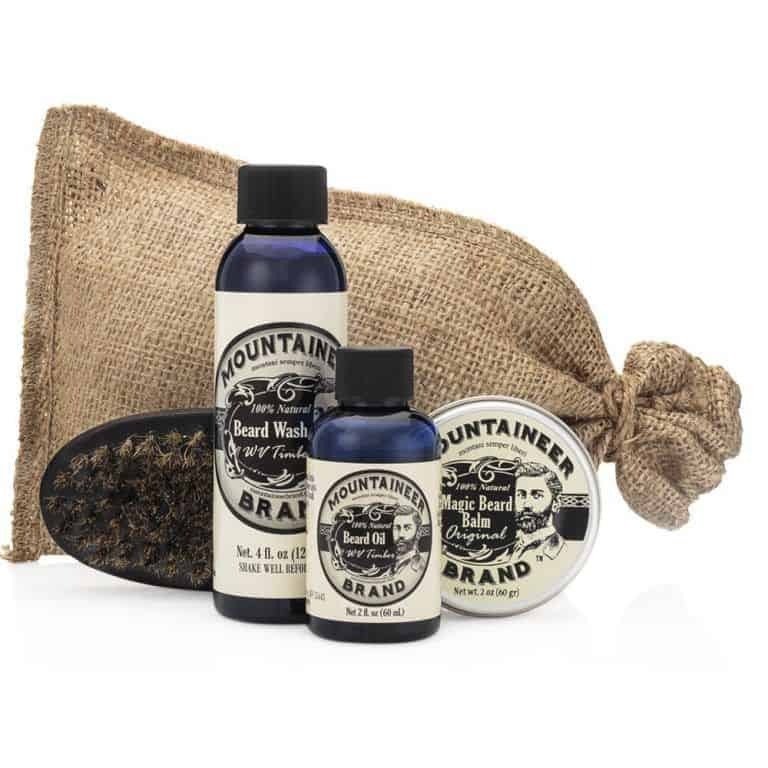 Mountaineer Brand beard oil is considered to be among the best on the market and would make the rest of this kit worthwhile even if the other products were mediocre (which they’re not). It’s ideal for preventing dry, brittle hair and, like the beard balm and wash, it has a woodsy smell that’s clean but never overpowering. The Mountain Brand beard wash contains all-natural essential oils and is made from an organic (and mild) Castile soap base. Like their beard oil, It’s available in two scents – cedarwood and fir needle – and lathers up nicely. Use it at least twice a week for best results. The beard balm comes in three aromas – grapefruit, lime, and fir needle. Again, they’re pleasing scents that won’t knock you over because they’re so strong. As mentioned, the beard brush is in the classic military style and is designed to keep your beard tidy and in order. Brush isn’t as good as you’ll find in other kits. This kit comes at a good price and for what you’re getting it’s a bargain. You can’t go wrong with the beard oil and wash, but the other products included in the kit also will help you keep your beard looking its best. Says it all, doesn’t it? 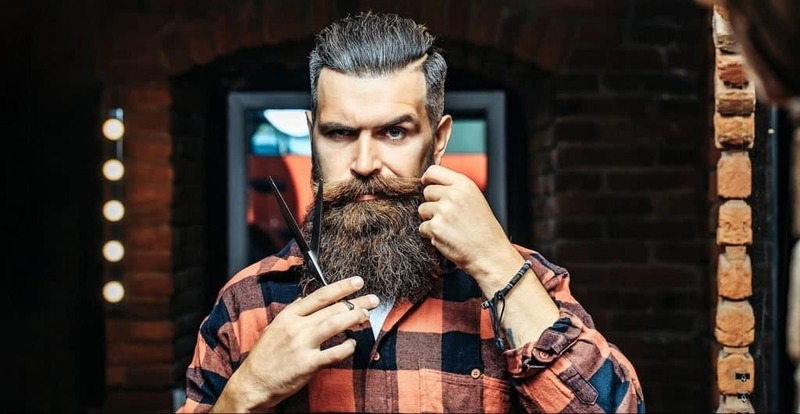 As a dedicated beardsman, you probably have days when you’d rather pass from this mortal coil than shave your incredible display of bearded glory. That said, however, there’s more to Grave Before You Shave than a great name that captures the spirit of many proud beard-wearers. 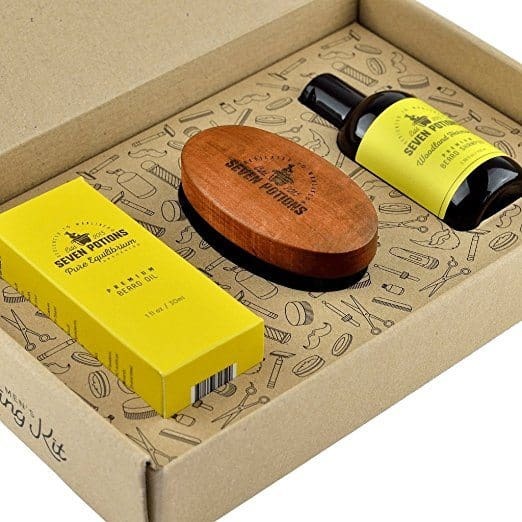 Their Beard Care Pack is ideal for any man who is serious about taking care of their beard. All of the elements are high quality, which isn’t a surprise because the folks at Grave Before You Shave are devoted to helping men maintain the best-looking beard possible. The GBYS oil not only smells great – with two scents to choose from – but also does a great job in keep your beard conditioned and untangled. You’ll like how it helps you style your beard, but also to help keep it (and your skin underneath) moisturized and free from itching. The beard soap is similarly effective and also keeps your beard air from becoming too frizzy while also keeping it conditioned. Finally, the kit comes with switchblade comb that looks great and enables you to style your beard effectively. Grave Before You Shave has achieved almost cult-like status, but they also deserve plenty of props for the quality of products they produce. While this kit doesn’t include balm or wax, you’ll love the oils and the fact you get a choice of two scents. There’s a lot of responsibility that comes with properly caring for your beard. But if you put in the time – and have the proper tools – the results are worth the effort. At Wizard Grooming, they want you to be responsible when it comes to your grooming, but they also want to give you a helping hand. Hence, their top-notch Beard Care Kit. This kit has everything you need to keep your beard looking its best, and also comes with a travel bag so that you’re never without your favorite tools, even if you’re on the road. Better yet, the Wizard Grooming kit doesn’t discriminate when it comes to beard length. Whether your beard is short or long and massive, their products will enable you to get the job done right every time. 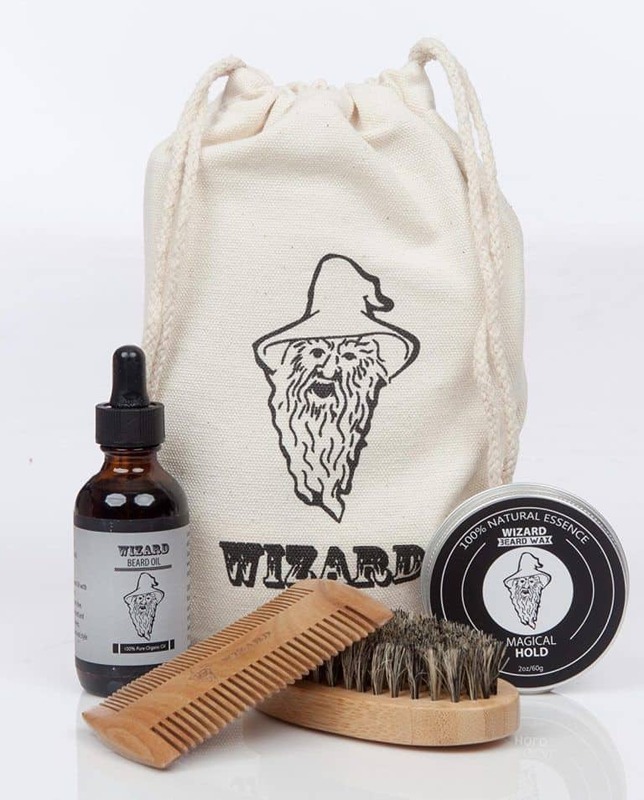 Each Wizard Beard Care Kit comes with a beard brush, beard comb, beard oil, and beard wax. In other words, everything you need from brushing to combing to styling and moisturizing. The brush is made of natural sandalwood and sports boar bristles and enables you to brush broadly and evenly distribute your naturally-occurring oils without scratching and irritation. The beard comb has wide teeth and is static-free and is effective on even the thickest beards. The Wizard Beard Care Kit oil meanwhile are all-natural and feature the kind of ingredients your beard will love: vitamin E, jojoba oil, and aloe vera. They absorb quickly into your beard and help give it a healthy look. Their beard wax is formulated with nourishing ingredients, including Shea butter, emu oil, argan oil, and vitamin E to help keep your beard looking stylish throughout the day. If you don’t like it, no problem: the Wizard Grooming Beard Care Kit comes with a full money-back guarantee with no questions asked. This kit makes it easy for you to groom your beard no matter where you are. Maintaining your beard is a man’s game, and Wizard Grooming gives you the kind of tools that only a man can appreciate. The Beard Legacy company of Miami has nothing against scruffy-looking beards. On the other hand, they have everything you need if you want to keep your beard neat and classy. Both the beard balm and the oil are unscented, and you need to apply only a few drops to soften your beard while relieving itchiness. Jojoba and argan oil are the only ingredients found in the two products, both of which nourish facial follicles while potentially stimulating beard growth. There’s a lot to like about this beard and mustache comb: it’s handmade from sandalwood, it’s anti-static and snag-free, it has wide and thin teeth to handle any length of hair, and it will help you easily comb out those pesky tangles and knots thanks to a thick, strong finish. It also helps you to keep beardruff at bay. Brushing is a must if you want a great-looking beard, and Beard Legacy’s boar bristle brush has you covered. The brush consists of 100% natural pear wood and has an oval shape that fits comfortably in your hand. Meanwhile, the natural boar bristles help distribute oil while styling, shaping, smoothing, and improving the texture of beard follicles. It’s great for use with balms, waxes, oils, and conditioners. Beard Legacy makes trimming your mustache and beard easy with their extra sharp stainless steel scissors. The premium steel resists rusting and tarnishing and will last you a long time. Beard Legacy’s kit also comes with a synthetic leather pouch that’s great for storing all of your grooming tools, as well as great for travel. Beard Legacy’s grooming kit is masculine, attractive, and – most of all – ideal for keeping your beard always looking its best. All of the items included in the kit are of high quality. Beard grooming kits, particularly the best ones, don’t come cheap. Our top choice, the Zeus Deluxe Beard Grooming Kit for Men, will cost you close to $70. On top of that, if you have a fondness for, say, a particular beard oil or shampoo, but already have a brush that’s from a different brand (and that you love) then a kit might seem like an overall expense you don’t need. For instance, let’s say I love ZilberHaar Pure Boar Bristles brush and wouldn’t think of exposing my dear beard to any other brush. And there’s also a particular oil I have to have from a different company and won’t settle for anything else. In either case, it may be worth my while to buy grooming products separately. On the hand, if there’s a brand you like and are willing to use all of its individual beard grooming products, then a kit is a good way to go. You’ll also save money in the long run. If you bought each of the Zeus products separately (shampoo, conditioner, oil, boar bristle brush) you’d spend nearly $80. But you can get the entire kit on Amazon for $68. The same math applies with the Mountaineer Beard Care Kit. If you bought their wash, balm, oil, and brush separately, your total bill would be $45. Sold together in a kit, however, you’d spend $38. Buying a kit as a whole makes more sense economically, especially if you’re loyal to one brand or company. Besides, look at the money you’re already saving by not shaving. 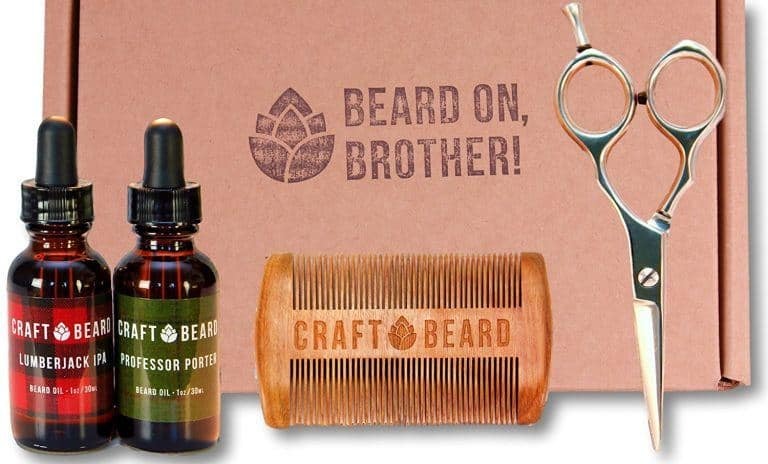 Here’s the other thing: beard grooming kits make great gifts. You’ll save money, and he will get all the tools he needs in one package. And we think he’ll like that. There’s no crystal ball or secret formula when it comes to our reviews. However, there is a lot of research and personal experience. Can we try every grooming kit out there? No, but only because we don’t have the resources. But we dig deep while being mindful of products that receive high rankings and plenty of positive reviews. After all, if enough people say something is good (or better), there’s enough reason to believe them. Where there’s smoke, there’s fire, as they say. That brings us to the end of our beard grooming kit review, my bearded friends. There are a variety of great kits available, so take your time, do the research, before you select that one that’s right for you. As always, we also welcome your comments, suggestions, and feedback. 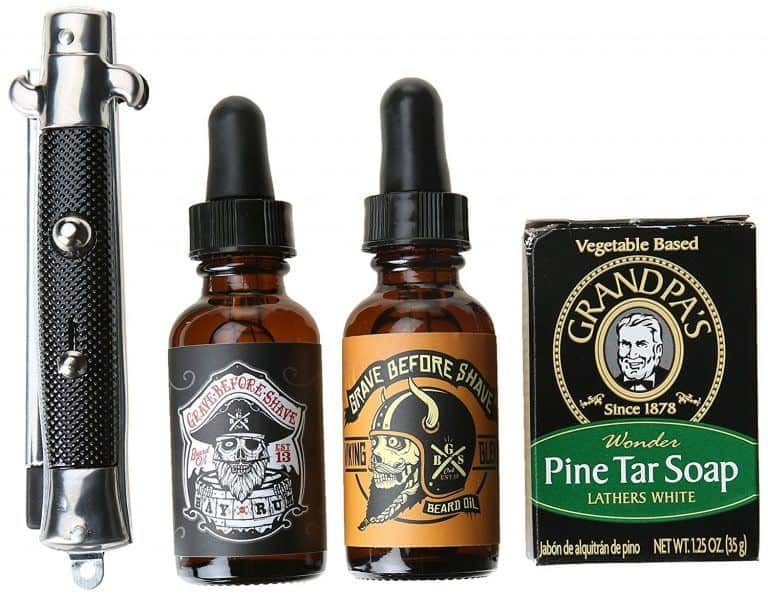 Do you have a favorite beard grooming kit? 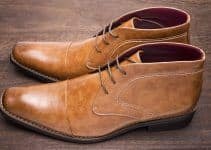 Would you rather buy beard products separately and not in a kit? If so, tell us why. why wasn’t The Beard Struggle reviewed? and what do you think about beard rollers/dermarollers? This is very helpful post. I visit this website for any kind beards caring tips. I really appreciate the products that they recommend. You are doing very good job. How on earth did you leave out Live Bearded? Their beard kit and products top notch! You should definitely reach out to em and get some samples. Thought this was really informative and easy to understand so cheers! Is there anywhere else you can get the Wizard Beard grooming kit from? Amazon don’t ship to New Zealand and this is exactly what I’ve been looking for for my boyfriend’s Christmas present. Just discovered this site and love it! I’m a lover of the Honest Amish line and they have a nice kit that includes several of the items that you have listed in your individual product reviews. Nice list, and I love you’ve stuck to the more affordable choices, but it would also be nice to cover the more elite grooming kits, maybe we can do a collaboration on that one? I’m just researching them at the moment. Love your blog by the way! I completely agree with the list and I believe Zeus Deluxe is by far the best brand in terms of beard grooming kits.